A file photo of former New York Times managing editor Jill Abramson. The former executive editor of The New York Times acknowledged Thursday that her new book, "Merchants of Truth," contains some sourcing errors and said she would correct them. In an email Thursday to The Associated Press, Jill Abramson wrote that some page numbers in sourcing notes needed to be fixed and some sources "should have been cited as quotations in the text." "The notes don't match up with the right pages in a few cases, and this was unintentional and will be promptly corrected. The language is too close in some cases and should have been cited as quotations in the text. This, too, will be fixed," she wrote. A Twitter thread posted Wednesday by Vice correspondent Michael C. Moynihan listed several examples of passages in Abramson's book that closely resembled the work of other publications, including Time Out and The New Yorker. "I wouldn't want even a misplaced comma so I will promptly fix these footnotes and quotations as I have corrected other material that Vice contested," Abramson wrote, noting that Vice had previously pointed out factual mistakes. "The book is over 500 pages. All of the ideas in the book are original, all the opinions are mine. The passages in question involve facts that should have been perfectly cited in my footnotes and weren't." Abramson's book, which is subtitled "The Business of News and the Fight for Facts," was published this week by Simon & Schuster. It is a critique of the media that focuses on two leading newspapers, the Times and The Washington Post, along with Vice and fellow digital company BuzzFeed. "In writing 'Merchants of Truth,' I tried above all to accurately and properly give attribution to the many hundreds of sources that were part of my research," she wrote to the AP. "My book has 70 pages of footnotes and 100 source citations in the Vice chapters alone, including The New Yorker, the Columbia Journalism Review, The Ryerson Review of Journalism and a masters' thesis, the sources from which Mr. Moynihan says I plagiarized." "Merchants of Truth" faults Vice for sexism and hypocrisy among other criticisms, and Vice in turn has taken on Abramson. "Never thought in my wildest dreams that the former exec editor of NYT would school @Vice on how to do irony," Vice co-founder Suroosh Alvi tweeted Wednesday. "Imagine plagiarizing for a book on ethics — riddled with factual errors — and then calling it 'Merchants of Truth.' 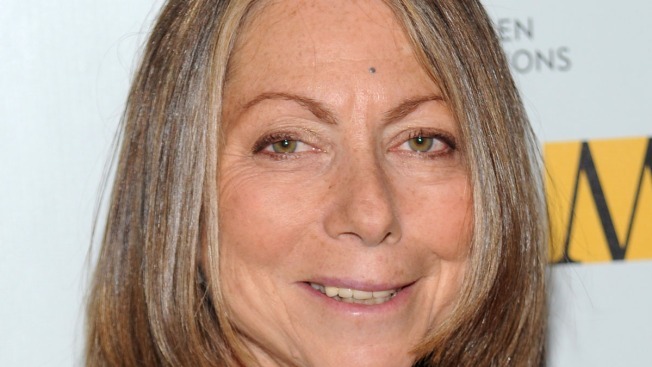 Hats off to you @JillAbramson!" Abramson is a longtime journalist whose reporting has appeared in the Times and the Wall Street Journal, among other publications, and whose previous books include "Strange Justice," co-written with Jane Mayer. In 2011, she made history as the first woman to be the Times' executive editor, but was fired three years later amid repeated clashes with colleagues. She currently teaches creative writing at Harvard University.